Team Alberta reflected the rustic image of Western Canada in the exterior of SolAbode. The house is now a solar showcase and research facility for the team's primary corporate sponsor. Team Alberta's U.S. Department of Energy Solar Decathlon 2009 entry, SolAbode, is a testing and research facility used to showcase viable solar technologies. The house belongs to ENMAX Corp., Team Alberta's title sponsor. The energy supply, distribution, and service company is a wholly owned subsidiary of The City of Calgary, where ENMAX is also headquartered. Following the competition, the decathletes were invited to attend the Government of Alberta's Speech From the Throne on Thursday, Feb. 4, 2010. Lieutenant Governor Norman L. Kwong recognized the team's accomplishments at Solar Decathlon 2009 as illustrative of "the freedom to create and the spirit to achieve" in the new energy economy. "Solar and wind power, as well as other advanced technologies, will transform homes from being users of electricity to generators of electricity," says ENMAX CEO, Gary Holden. "Supporting these students through the ENMAX SolAbode project is our way of investing into the energy leaders of tomorrow." And that they are. In June 2010, Team Alberta was recognized at the 19th Annual Emerald Awards. This distinctive honor celebrates outstanding achievements by Albertans committed to protecting, preserving, enhancing, and sustaining the environment. The SolAbode team received an Emerald Award in the youth category, demonstrating that the country's pride in its team is just as strong as the team's pride in its country. 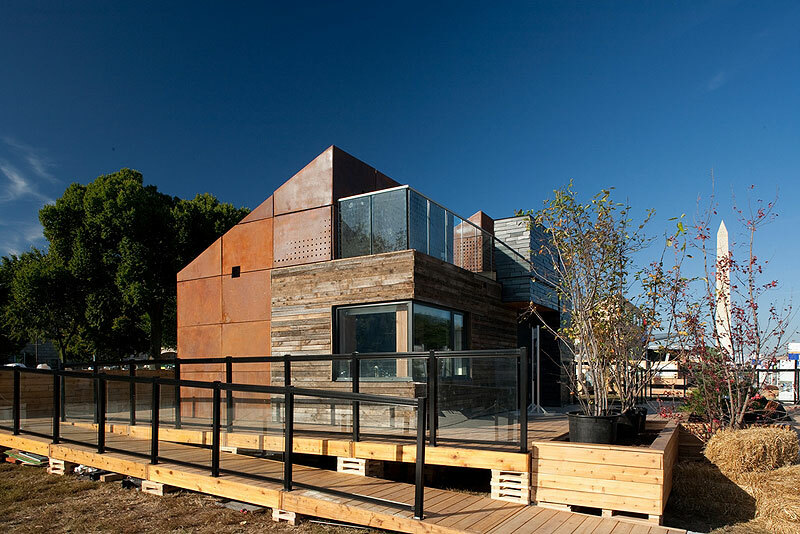 Team Alberta infused the house it designed for Solar Decathlon 2009 with the Canadian experience. SolAbode featured locally quarried rundlestone and wood reclaimed from a team member's barn in Cremona, Alberta. The team even arranged for a member of the Royal Canadian Mounted Police to greet visitors on the National Mall.